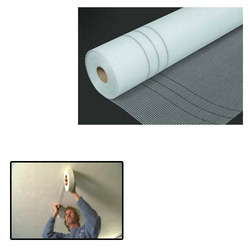 Pioneers in the industry, we offer fiberglass mesh for crack repairing from India. To satisfy the requests and needs of our regarded customers, we offer astounding Fiberglass Mesh for Crack Repairing. This mesh is broadly utilized as support as a part of cementations applications. Aside from this, our master quality controllers stringently check all the products on different parameters to guarantee faultlessness.